Car accidents and other types of motor vehicle accidents often occur due to carelessness or negligence by one of the drivers involved. As a result, victims of car accidents, as well as their families, often hire a car accident lawyer to seek compensation for medical expenses as well as for pain and suffering. Civil suits involving motor vehicle accidents are considered part of accident and injury law, also known as personal injury law. Hit and run, drunk driving and other crimes associated with vehicle accidents are addressed separately, in a criminal court. Seat belts saved more than 15,000 lives in 2006, according to the National Highway Transportation Safety Administration. More than half the people killed in motor vehicle accidents were not wearing seat belts. Currently the District of Columbia and 49 states have seat belt laws  only New Hampshire does not. The most common type of personal injury claim, car accident claims are often predicated on the theory of negligence. To prove that the defendant's negligent actions were the cause of an auto accident, the plaintiff in the case must show that the defendant failed to exercise "reasonable care" to prevent it. Traffic laws, witnesses, police reports and other tools are often used to prove who was at fault. Those found guilty of negligent action in a motor vehicle accident may be liable for damages. If you or a loved one has been harmed in a car accident, a car accident lawyer can help you determine if another driver's negligent actions were to blame. Contact a car accident lawyer to learn more. In 2006, more than 13,000 Americans died in speeding-related road accidents. Among male drivers 15-20 years old who were involved in fatal accidents, 39 percent were speeding. Overall, males were responsible for 70 percent of all traffic fatalities in 2006. The theory of negligence also applies to other types of motor vehicle accidents, including motorcycle accidents, trucking accidents, boating accidents and others. Motorcyclists are involved in a disproportionate number of motor vehicle collisions. To make matters worse, they are 37 times more likely than the operators of other motor vehicles to die in a motor vehicle accident, according to the National Highway Transportation Safety Administration. Statistically, motorcyclists tend toward dangerous driving behavior such as speeding, drunk driving and failure to wear a helmet. However, many motorcyclists are hurt or killed due to other drivers' failure to maintain the proper distance between vehicles. Others are hurt in crashes resulting from defective parts and equipment. If you or someone you know has been harmed in a motorcycle accident, a personal injury attorney can help you determine whether you are eligible for compensation. Studies show that bus accidents are on the rise. Many factors have contributed to this trend, including inadequate regulation by the government and poor working conditions for bus drivers, who often work long hours and are forced to hurry in order to meet schedules. The lack of seatbelts in tour buses and school buses is also reason for concern. The National Transportation Safety Board does not require seatbelts in these vehicles  even on school buses  and most states have failed to establish laws to address the issue. While the National Coalition for School Bus Safety and other organizations have lobbied for more safety measures to protect children traveling on school buses, legislators are hesitant to establish laws that might prove costly to businesses involved in the industry. ATV accidents are also on the rise, according to the U.S. Consumer Product Safety Commission. Considering the speed that all-terrain vehicles can travel and the fact that ATVs can weigh as much as 500 pounds, it's no wonder this trend is affecting children more than any other group. Head and spinal cord injuries make up a significant percentage of ATV-related injuries. As a result, pediatricians, children's hospitals and other groups continue to push for increased regulation of ATV use, especially as it pertains to children. The good news is that most ATV injuries and deaths are preventable. Parents can protect their children from ATV injuries by making them wear a helmet and stay on trails designated for ATV use. Additional information on how to protect your child from injuries commonly sustained in ATV accidents is available from child safety advocacy groups such as the American Academy of Pediatrics and the National SAFE KIDS Campaign. However, even with parent-enforced safety measures, injuries can occur, so if you, your child or someone you know has been harmed in an ATV accident, it is very important that you contact a motor vehicle accident attorney. The term "trucking accidents" usually describes accidents involving "large trucks," or those weighing more than 10,000 pounds. Most operators of these large trucks are responsible drivers; for example, in 2006 only 1 percent of large truck operators involved in collisions were found to be under the influence of alcohol. (Visit our DUI section to learn more about DUI and DUI lawyers.) Nonetheless, trucking accidents still occur due to negligence. And, as one might expect, statistics show that occupants of vehicles involved in collisions with large trucks do not fare well. In 2006, 76 percent of the fatalities resulting from large truck accidents were occupants of other vehicles. If someone you know has been injured or killed in a trucking accident, a trucking accident lawyer can help you determine if you are entitled to compensation. Light trucks and vans, including SUVs, account for about a third of passenger vehicle fatalities and injuries. SUVs, which are considered light trucks, tend to roll over more than any other type of vehicle, and rollovers are the most fatal of crashes. These statistics are disconcerting given that the popularity of SUVs continues to grow. Some vans also pose a high risk of rollover, particularly 15-passenger vans, which are often used to transport tour groups and children's sports teams. Due to the efforts of consumer advocacy groups such as Public Citizen, car manufacturers are now required to take precautions to minimize the incidence of rollovers and other accidents. However, their efforts are frequently hindered by advocates from the auto industry, possibly due to a reluctance to make manufacturing modifications that might reduce profits. Boating accidents are largely preventable. Unfortunately, statistics from the U.S. Coast Guard show that the number of yearly boating accident deaths has held steady over the past 10 years. In 2006, there were 710 boating-related deaths. Common causes include carelessness, reckless operation, excessive speed and operator inattention. Alcohol is involved in almost 20 percent of all boating accidents. If you or someone you know has been harmed in an accident involving one of the motor vehicles mentioned above, you may want to contact a motor vehicle accident attorney, particularly if you feel the accident occurred due to someone else's negligence. 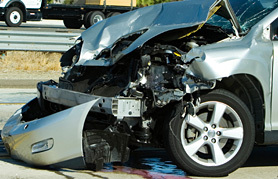 To find out if you have a case, contact a motor vehicle accident lawyer. In 2006, one alcohol-related motor vehicle accident death occurred every 30 minutes. Unfortunately, drunk driving is quite common in the United States. In 2005, one out of every 143 licensed drivers was arrested for DUI or DWI. Source: National Highway Transportation Safety Administration.